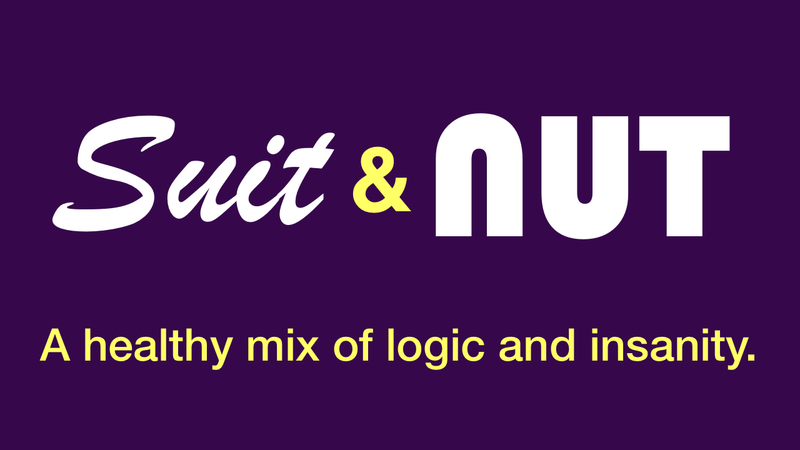 Hey everyone, Suit & Nut is back to discuss the more frivolous side of the NBA. This week, two lineups of the BEST nicknames in NBA history go head-to-head. Whose team is better? The call is yours. 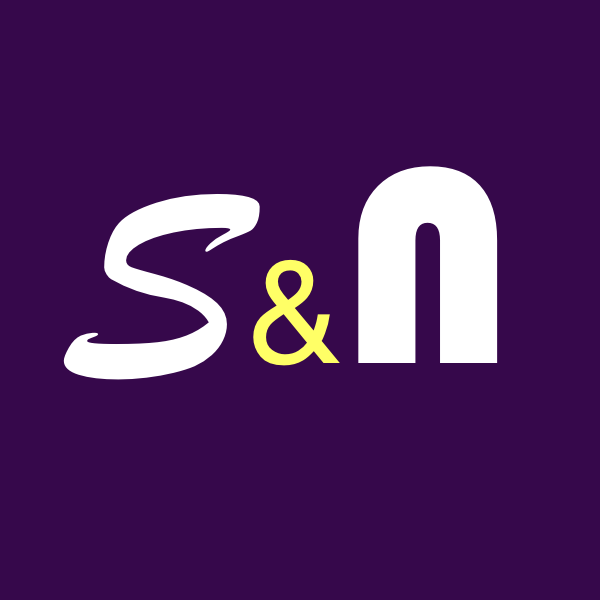 This is Suit & Nut. 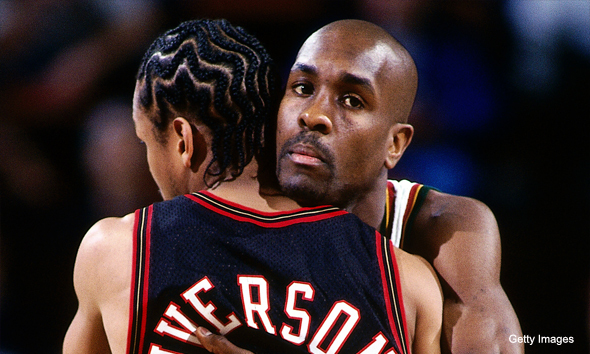 When you think of Gary Payton, you primarily think of two things: his mouth and his defensive ability. Since gloves are worn on your hands (cue “The More You Know” clip), it should be clear which aspect of his game this nickname refers to. Payton got his nickname “The Glove” when Payton’s cousin called him during the 1993 Western Conference Finals series against Phoenix and told him, ‘You’re holding Kevin Johnson like a baseball in a glove,’ and the nickname was born. This quote highlights the reason this nickname is so great: when you think about it, it makes no sense. Gloves are not worn in basketball, nor would they help you if you could wear them. Most gloves make things more slippery, except for wide receiver football gloves. It’s also great because “The Glove” is incredibly unintimidating, which makes it incredibly intimidating. If you were about to take on someone named “The Glove” in a bar fight, you’d probably feel pretty good about yourself. However, when people start talking ominously about “The Glove,” you get extremely concerned asking yourself “…why should I be afraid of someone with such a calm nickname? I don’t feel so good about this.” And that is why The Glove grabs my point guard slot. 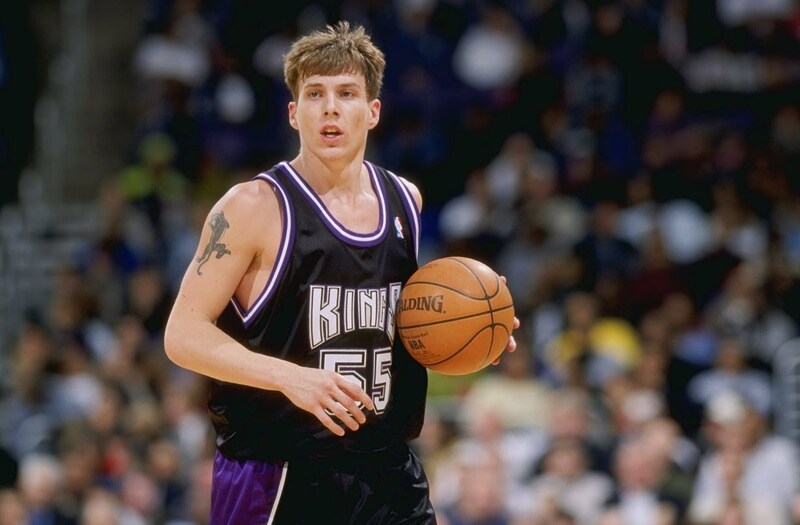 Jason Williams is one of the most dazzling players in NBA history, and he did it all without dunks or power. He was unique, and his style was delicious. He was White Chocolate. He also went by the nicknames “J-Will” and “J-Dub” and has “WHITEBOY” tattooed on his knuckles. Oh yeah, that reminds me of a totally unrelated fact: he’s, like, white. I think this nickname is great because it’s definitely not a loving reference to his race, guys. Perseverance. Playmaker. Precision. Power. Perfection. Great words, all of which start with letter “P,” but none represent the “P” in our next great nickname. 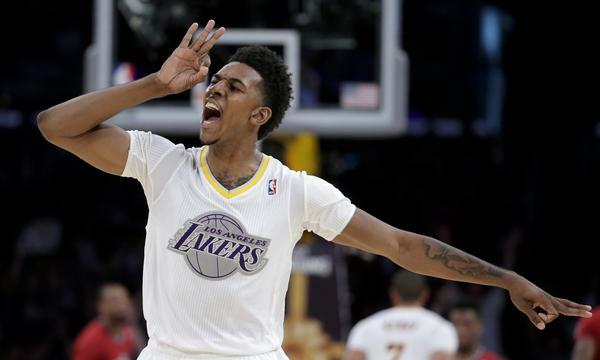 We may never know the origin of “Swaggy P,” and maybe it’s best that way. After all, God works in mysterious ways, like telling Nick Young to call himself Swaggy P. Yes, he really believes that happened. Nick Young is a mysterious man who I’m sure has mysterious things going on inside his head. And even though no one knows why we call him Swaggy P, it still makes perfect sense. He has the most swag of anyone in the NBA and he has no “P” in his name: it’s the most Nick Young-esque nickname to ever exist. Though he’s more of a small forward, Miami’s system is positionless enough that I feel okay sliding in Luol at shooting guard. I usually call him Luol “Literally Cash Money” Deng, but “The Man from Sudan” is an even better nickname if you think about it. First of all, it has nothing at all to do with the game of basketball, making it a perfectly suitable nickname for professional basketball players, banished royalty, or really any human male originally born in Sudan. And because the human race expanded outward from Africa, we are all Luol Deng. Second, Luol Deng isn’t even from Sudan. Just kidding, though that would be amazing. 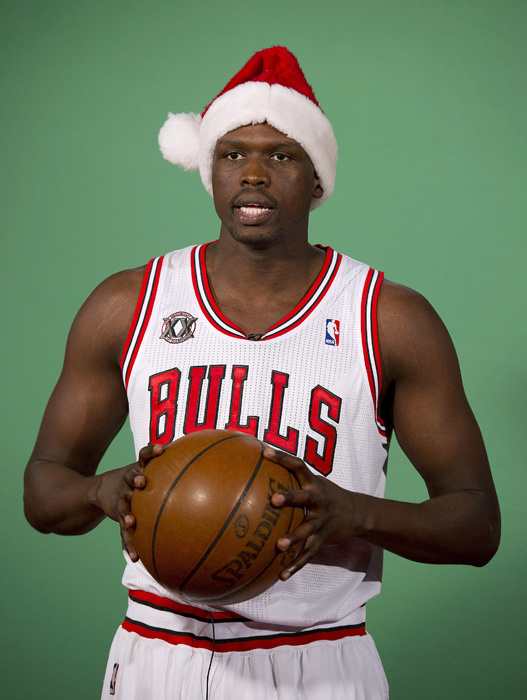 Third and finally, Luol’s nickname brings attention to the fact that there is indeed a little bit of African in him. I’m not sure why that’s relevant, but then again I don’t live in Atlanta. Calling LJ “Grandmama” is like referring to one of your buddies by the most embarrassing thing he’s ever done. The beauty of LJ is that he embraced it. 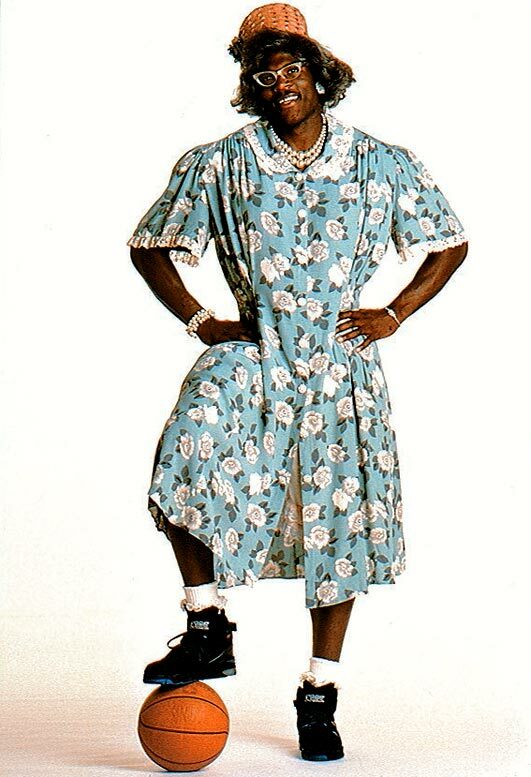 If you’re unaware, the nickname came from a line of Converse ads that Johnson made in the 90s claiming “my shoes are so light, even my grandmama can ball in them.” The commercial featured Larry Johnson dressed as a grandmother, making Tyler Perry’s Madea look like Beyoncé. While “The Glove” is a great nickname because it’s so innocent, the fact that someone as powerful as Larry Johnson would be called “Grandmama” is downright scary. The Big Bad Wolf wouldn’t mess with this Grandmama. What a great nickname, pulling together Andrei’s initials, jersey number, and country of origin perfectly. Just like the Russian gun, Kirilenko is an incredibly mediocre shooter with terrific stopping power. 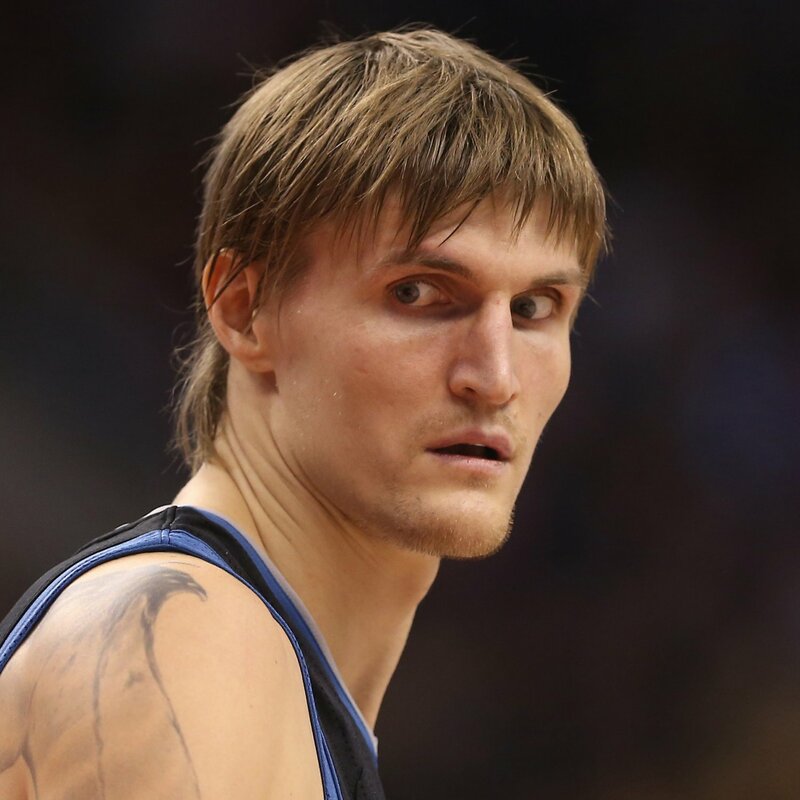 Oh, and Kirilenko is scary as hell. This might be my favorite nickname of all time. Just like the AK-47 is the world’s favorite assault rifle. It’s just perfect. 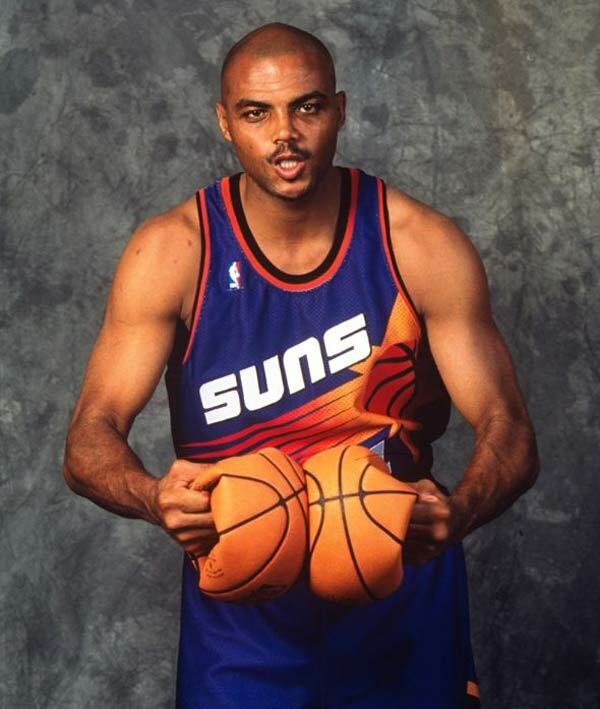 We could’ve easily made a list of the top 10 Charles Barkley nicknames and called it a day. Chuck rivals Shaq in number of nicknames, but surpasses Shaq in amazingness of nicknames. Most of these nicknames play on Charles’ weight: Crisco Kid, Bread Truck, Love Boat, Wide Load From Leeds, Ton of Fun, Goodtime Blimp, and Food World. Scratch that, all but “Sir” poke fun at his weight. The fact that Chuck embraced them made them even better. Though his list of nicknames contains many gems, one stand out among the rest: The Round Mound of Rebound. A nickname that truly has it all: a rhyme, an insult, and compliment all in one. It’s so much fun to say, it’s obnoxiously long, and it’s mildly tongue-twisting. What’s not to love? The best part: Chuck agrees with my selection, and the proof is here. He might be more of a center, but I’m continuing to misclassify players in my desperate quest to accumulate five better nicknames than Suit’s team. 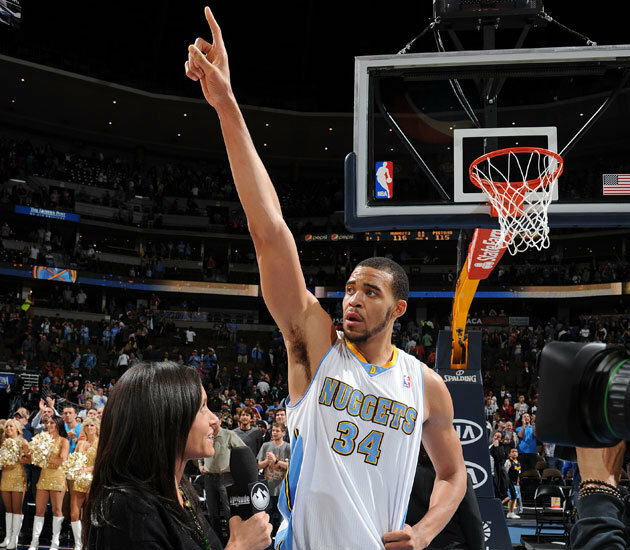 Now, JaVale isn’t a bad player. But while most of us get our horrible basketball mistakes out in high school, some of us persist in the error of our ways millions of dollars later. Seriously, go watch that link. I don’t even know how to follow that up, but somewhere Magic Johnson just died of a brain aneurism. JaVale McGee is the most creative person I know, in the worst possible way. Thank God for Tragic Bronson. You will always bring joy into our hearts. BIRDMAN, BIRDMAN! BIRDMAN, BIRDMAN! BIRDMAN, BIRDMAN! BIRDMAN, BIRDMAN! BIRDMAN, BIRDMAN! BIRDMAN, BIRDMAN! BIRDMAN, BIRDMAN! Translation: This is probably the most fitting nickname in existence, and it’s the perfect example of someone embracing their nickname and making it stick even further. He got the nickname because of his wingspan and his tendency to do a gliding celebration. After he got the nickname, he changed his hair to look more birdlike. Then he got “Free Bird” tattooed on his neck and wings tattooed on his biceps. Throw in an addicting Shaq Inside the NBA clip and BOOM! 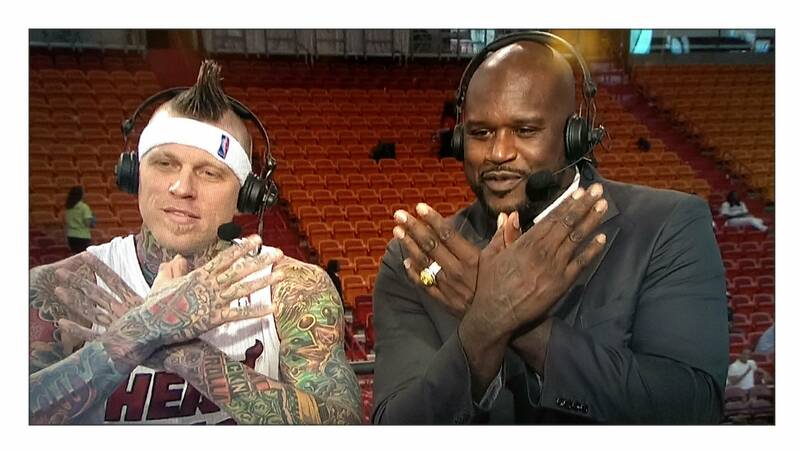 Birdman (Birdman!) became a nickname that wins over the hearts of millions. Let’s be real, Shaq has some good ones. MayorMcShaq. The Big Banana. Hobo Master. 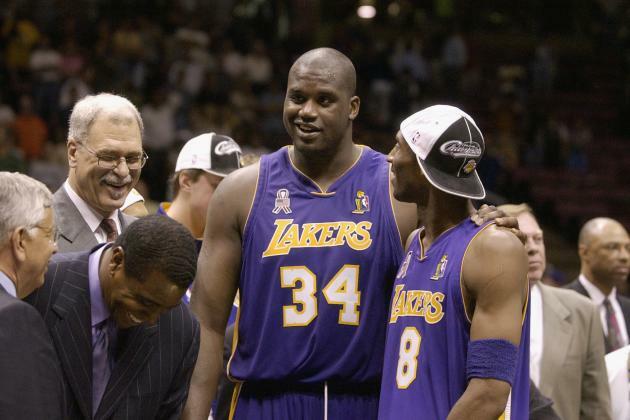 Manny Shaq-iaou. THE LIST GOES ON. So why am I picking Osama Bin Shaq? Not just because he gave it to himself (again), or even because Shaq and Laden sound nothing alike. But because in the 2002 NBA Finals, mere months after the 9/11 attacks, Shaq decided that he was singlehandedly making Keith Van Horn and the New Jersey Nets the primary victims of terrorism here in the United States. That’s right, Shaquille O’Neal named himself after public enemy number one for being a more historically dominant big man than Keith Van Horn. So, whose team is better? Did we miss anybody? Holler at us, we’d love to know.